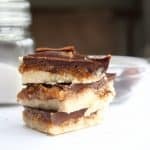 This recipe for vegan millionaire shortbread is to die for! It is gluten and dairy free as well as paleo friendly. I like to think of them as a clean eating and healthier version of twix bars! These are very rich so one small square will be sure to satisfy your sweet tooth. 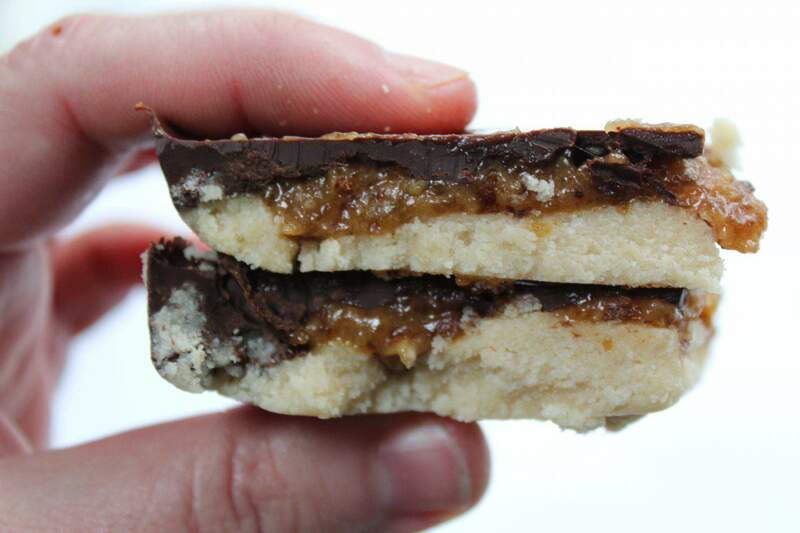 Traditional millionaire bars are made with a shortbread crust followed by a caramel and then chocolate layer. My gluten and dairy version uses a no bake coconut flour crust that is sweetened with maple syrup. 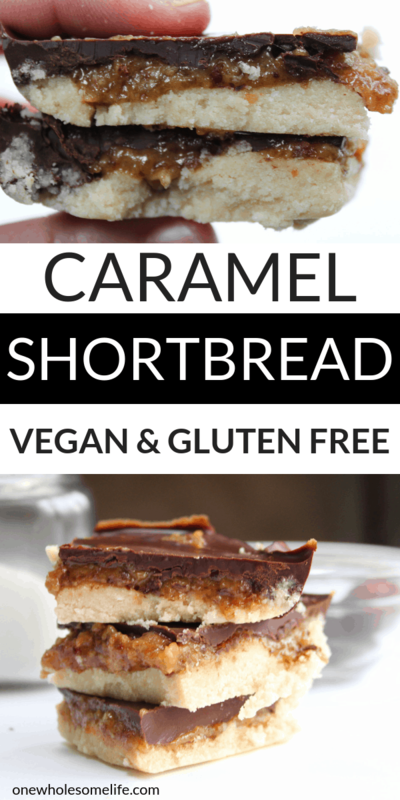 This paleo friendly shortbread is delicious even on its own! The “caramel” layer is blended dates, almond butter, maple syrup, coconut milk, sea salt, and vanilla extract. I love cooking with dates. They are like natures candy. It is MUCH easier to buy the dates already pitted. I always get mine at Aldi’s for a great price. The chocolate layer is just melted dark chocolate, coconut oil, and sea salt. I always melt my chocolate in my double boiler. The chocolate always melts perfect and doesn’t burn. If you don’t have a double boiler feel free to use the microwave. These indulgent vegan millionaire shortbreads are perfect as a snack, treat, or even to serve to guests! 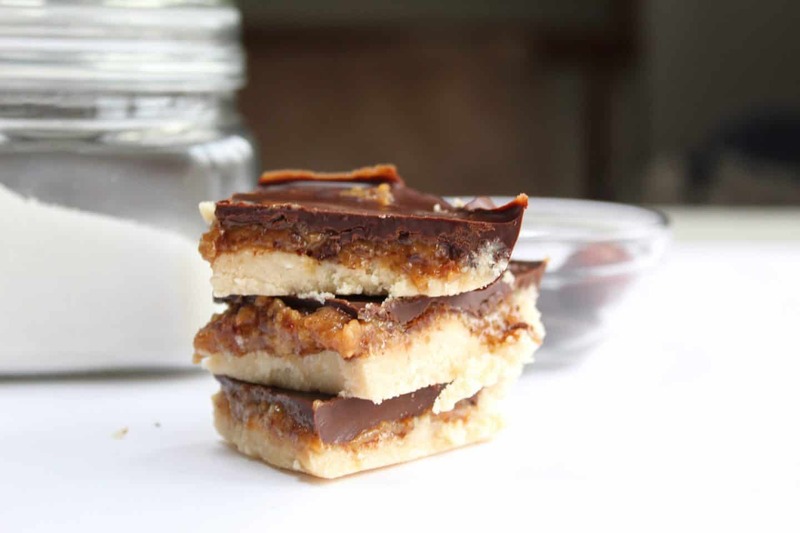 Gluten and Dairy Free Millionaire Shortbread recipe! Paleo and vegan friendly. Mix together the coconut flour, maple syrup melted coconut oil, vanilla extract, and sea salt in a mixing bowl. Spread mixture in a thin layer onto the bottom of the prepared pan. Set in fridge for about fifteen minutes while you prepare the next layer. Prepare the "caramel" layer by blending together the pitted dates, almond butter, maple syrup, coconut milk, sea salt, and vanilla extract in a high powered blender. Spread the caramel mixture onto the prepared shortbread layer that was chilling in the fridge. Chill in the fridge for another 15 minutes. Melt together the chocolate chips, coconut oil, and sea salt using a double boiler. Remove from heat and allow the chocolate mixture to cool for about 5 minutes before spreading onto the prepared pan that was chilling in the fridge. Allow entire pan to cool in fridge for another 20-30 minutes. 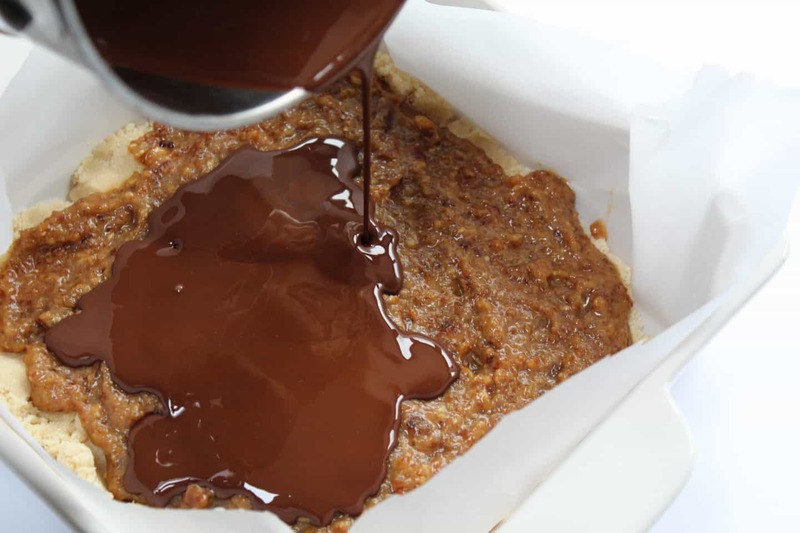 Remove the bars from the pan using the parchment paper. 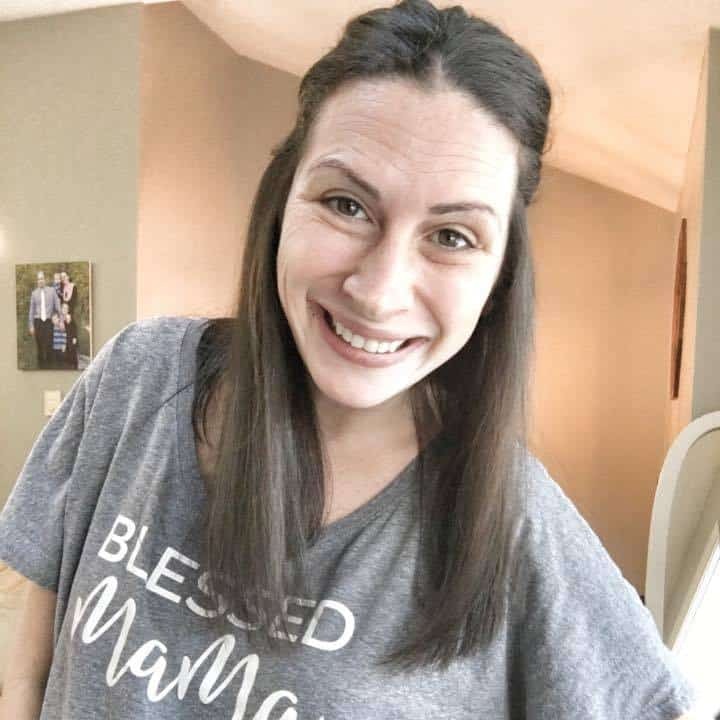 Cut into square and enjoy! *The nutrition information shown is an estimate provided by an online nutrition calculator. 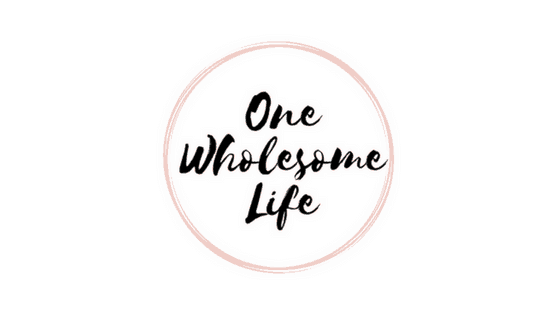 It should not be considered as a substitute for a professional nutritionist’s advice.